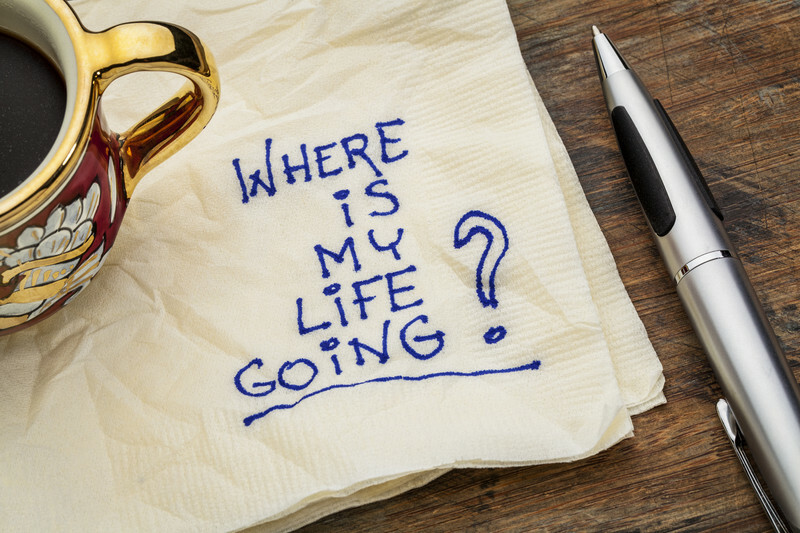 Rec Therapist: What are you going to do with your life? Have you ever thought of how many days you have left until you die? The truth is: we all die. Ironically, it is the month of October. My personal favorite theory in psychology and counseling is the existential theory created by Victor Frankl. It is a theory about finding meaning in life. There is a really neat informal assessment tool to determine how many years you’ll have. It is one of the activity worksheets featured in the Leisure Education manual of resources by Elbert Chance and Norma Stumbo. The activity requires the participant to answer your questions about their life choices and it tells you how many years you’ll live. In example people who choose to smoke will take off a few numbers. Those who exercise can add a few numbers. I used this book as a young professional and still use it today. We Rec Therapists provide services to help promote health, wellness, independent functioning for people. One of my mentors, Jack Canfield (co-creator of the Chicken Soup for the Soul) book series (who is also from West Virginia) showed me this awesome youtube video titled: “The Time You Have (in JellyBeans). You might want to share this video with the patients/ clients that you provide services for. I [Danny Pettry] believe I’m pretty self-aware of who I am and what I want to accomplish in several areas of my life: family/ social, contribution, financial, health/ wellness, and my profession. 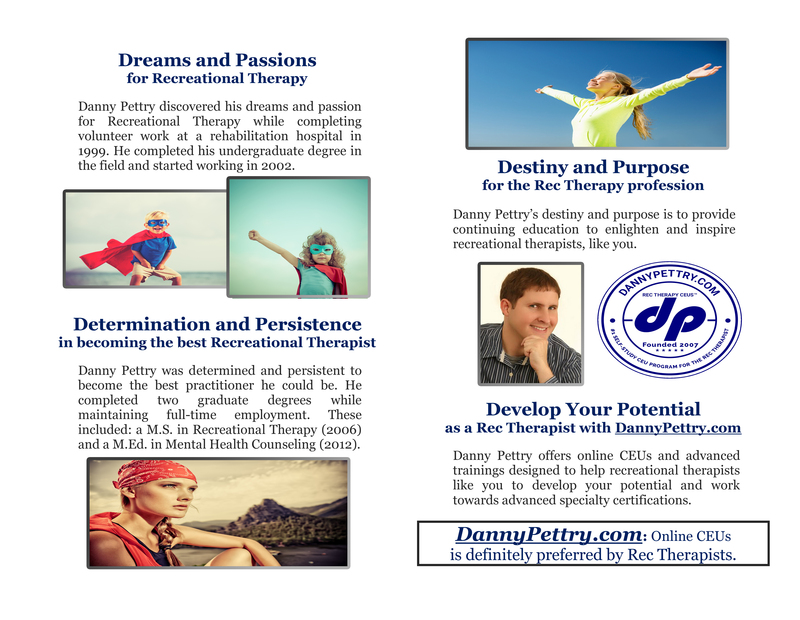 Please check out my “About” page at my web-site to learn more about my [Danny Pettry] goals for our profession: Recreational Therapy.